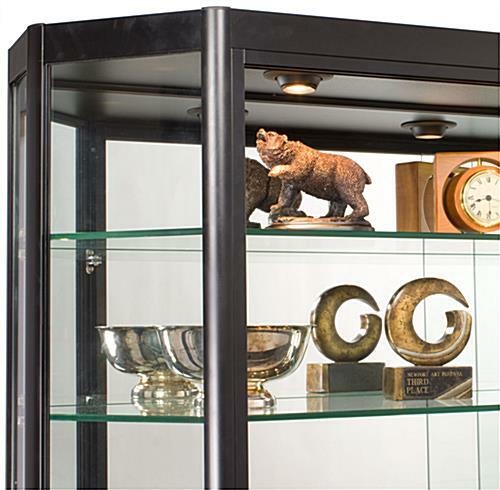 These Display Cabinets are Designed for Wall Mount Use! 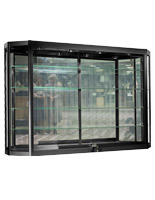 Various Other Glass Showcases also Offered in this Online Catalog! 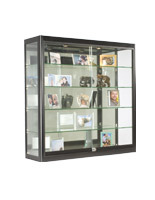 Buy Display Cabinets from this Trusted Source! 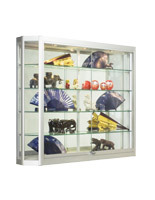 (2) 20-watt halogen lights illuminate items in the wholesale glass display cases! Tempered glass construction is safer than annealed styles! 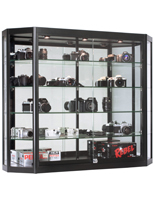 Wholesale glass display cases feature height-adjustable shelves to accommodate items of varying heights! 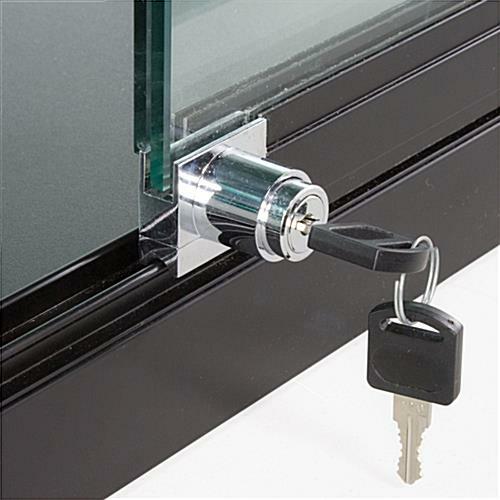 Plunger lock keeps items safe! Order soon! Only 5 units left. 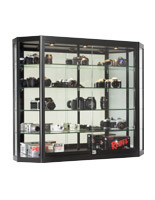 These display cabinets for sale add showcasing space to a wide variety of commercial locations. The fixtures can of course be used in a retail store, such as a gift shop, or jewelry outlet. The display cabinets that include a lock, also known as retail showcases, are also often seen in places like a business lobby, to hold corporate memorabilia. Schools, museums and hospitals purchase these cabinets for additional storage of items of interest. These store fixtures, display cabinets that hold jewelry are crafted from durable materials to last for years. Tempered glass is a heat-treated alternative to the traditional style. 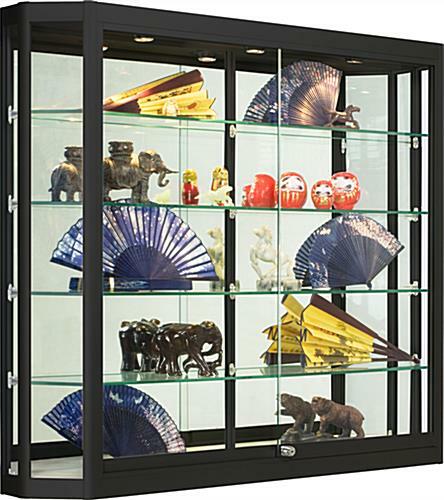 This creates stronger and more resilient black display cabinets that are highly resistant to breaking. Powder-coated aluminum provides the framework for the wall-mounted fixtures. 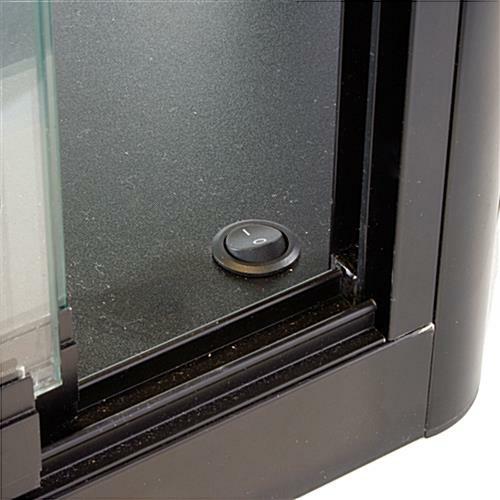 Full-height sliding doors with a plunger lock ensure that only authorized retail associates may obtain access into the showcases. 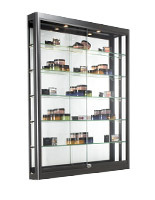 A mirrored-back enhances the appearance of merchandise within the cabinets. 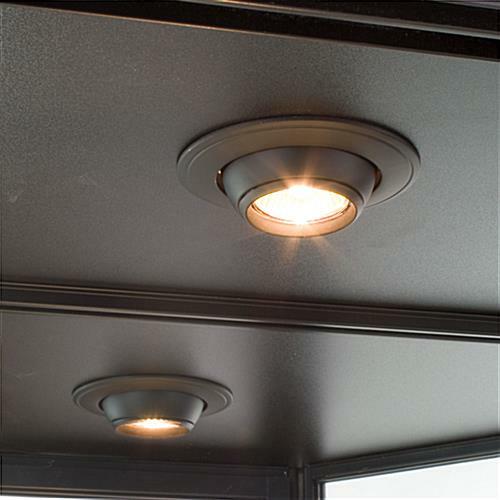 Two 20-watt halogen lights are recessed into the top canopy to cast illumination with the flip of an easily-accessible on/off switch. Click Mounting Instructions for mounting instructions. 47.3" x 39.5" x 9.5"